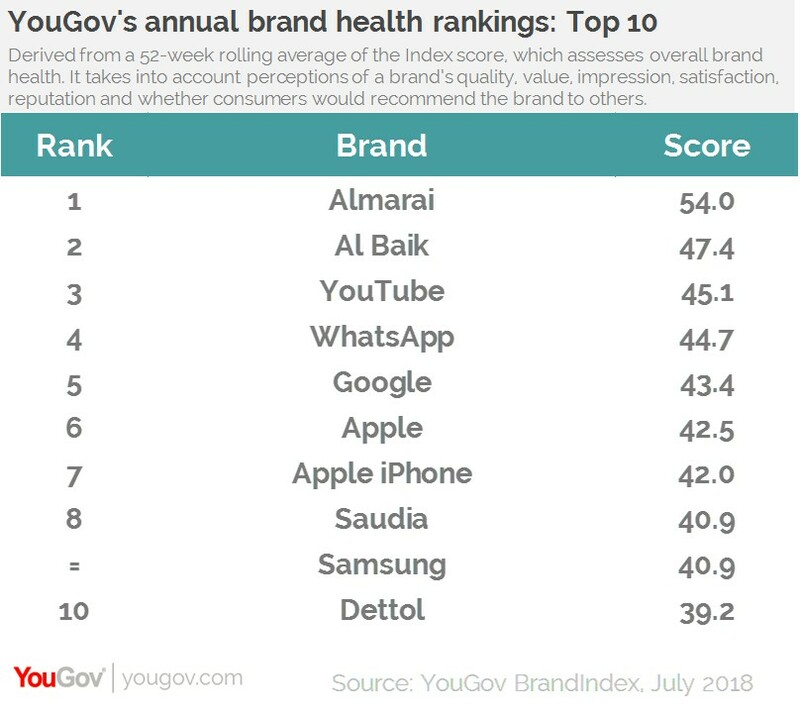 on July 26, 2018, 10:16 a.m.
Almarai again tops YouGov BrandIndex’s annual brand health rankings for Saudi Arabia. In a list featuring a large number of digital brands, the food and beverage company reigns supreme for the second year in a row. 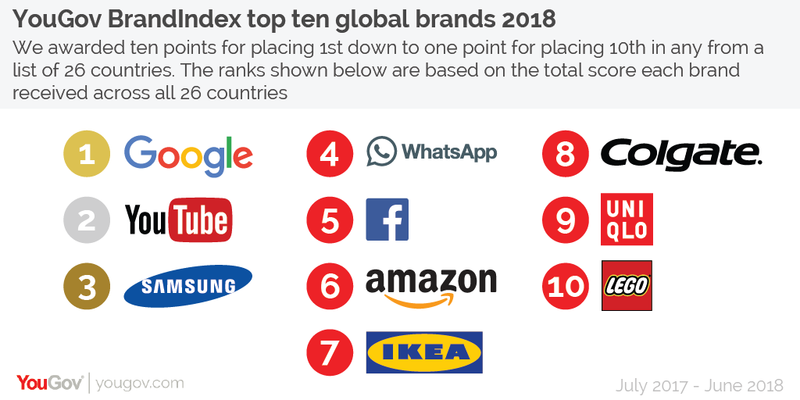 The brand maintains its dominant position among Saudi consumers, sitting ahead of restaurant chain Al Baik, streaming giant YouTube, and messenger service WhatsApp. 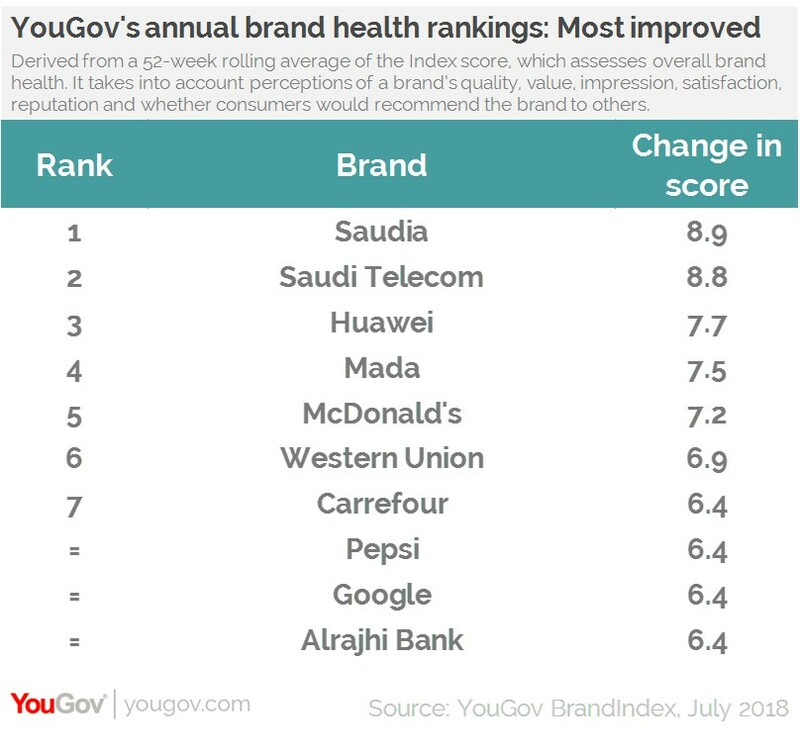 These rankings are based on the YouGov BrandIndex Index score, which measures overall brand health. The score takes into account consumers’ perception of a brand’s overall quality, value, impression, reputation, satisfaction and whether consumers would recommend the brand to others. Al Baik’s score has steadily increased over the past year, rising from 42.3 to 47.4. The last 12 months have seen it gain exposure from two popular vloggers who, in a video that garnered close to two million views, created a pizza using Al Baik’s ingredients. One of the most interesting movements in the rankings is the large strides made by Saudia over the past year. The national carrier tops YouGov’s most improved brand health list – increasing its scores by +8.9 over the last 12 months – enough to launch it into eighth position overall. Multinational supermarket Carrefour has improved its brand health score by +6.4 points in the past year, helping it to top the Saudi retail sector rankings. The changes in the law that allow women to drive in KSA has opened a new valuable market for auto manufacturers. While Toyota is the most popular car maker in the region, Kia has seen a notable improvement, increasing its brand health score by +4.6.